FORT MCMURRAY, Alta. 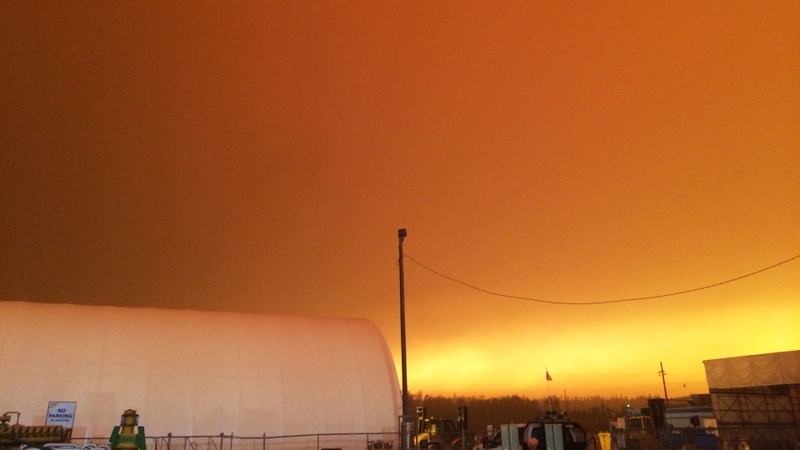 - Officials say the concern with northern Alberta wildfires has shifted from the city of Fort McMurray to the oil industry in the surrounding area. Late Monday night, about 8,000 people at work camps north of Fort McMurray were ordered out in a mandatory evacuation. The evacuation zone, stretching about 50 kilometres north of Fort McMurray to just south of Fort MacKay, included Syncrude and Suncor facilities, along with several smaller operations. "The urgency that we are looking at is with regards to the oil and gas infrastructure," said Scott Long of the Alberta Emergency Management Organization at a briefing earlier Monday evening. "Everything within Fort McMurray itself, the community, all controlled, orderly. There is no panic there." John Archer, a spokesman for the Alberta government, stressed the move to get people out - many were headed to Edmonton - was being done in an orderly fashion. "By and large, I believe the fire has not encroached too much more upon Suncor or Syncrude, but the reason why the call was made (Monday night) is so they're not starting an evacuation at 2 a.m.," he explained. 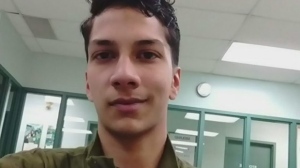 "I don't think the threat is that much more acute now than it was earlier." Late Monday, Suncor issued a news release confirming it had "started a staged and orderly shutdown of our base plant operations" and that personnel were being transported to work camps further north. It stressed there has been no damage to Suncor infrastructure. "Suncor has enhanced fire mitigation and protection around all of its facilities," said the release. "When it is safe to do so, we will continue implementing our restart plans." High winds have spurred the quickly spreading wildfire as tinder-dry conditions persist in the region. "Heavy smoke ... does make it unsafe to fly in some spots, but we are able to still work the flanks and hope to pinch it off," said Alberta wildfire manager Chad Morrison. "When you have this kind of extreme fire behaviour it doesn't matter what tankers you put in front of it, it doesn't matter how many helicopters, Mother Nature is going to want to continue to move that fire forward." He said the forecast for today called for the winds to shift to the west - which is a good thing. "If we are able to hold it (Monday night) away from the facilities we should have a favourable day to continue to get at it tomorrow." The entire population of Fort McMurray, more than 80,000 residents, are now entering their third week away from home. Many of the work camps were used to house evacuated residents who fled north when fire broke through into the city the afternoon of May 3. Those residents were taken to points south, including Edmonton and Calgary, several days ago and workers were moved back in to begin ramping up oilsands production again. 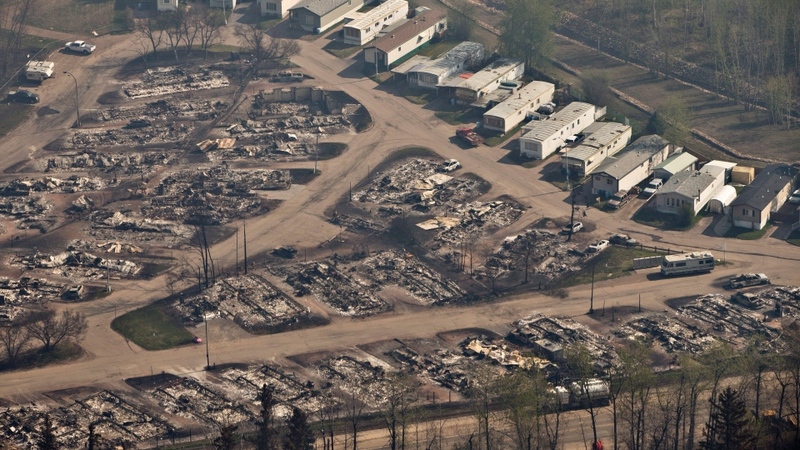 About 2,400 structures were destroyed in Fort McMurray, but essential infrastructure, including the hospital, water treatment plant and the airport, remain intact.